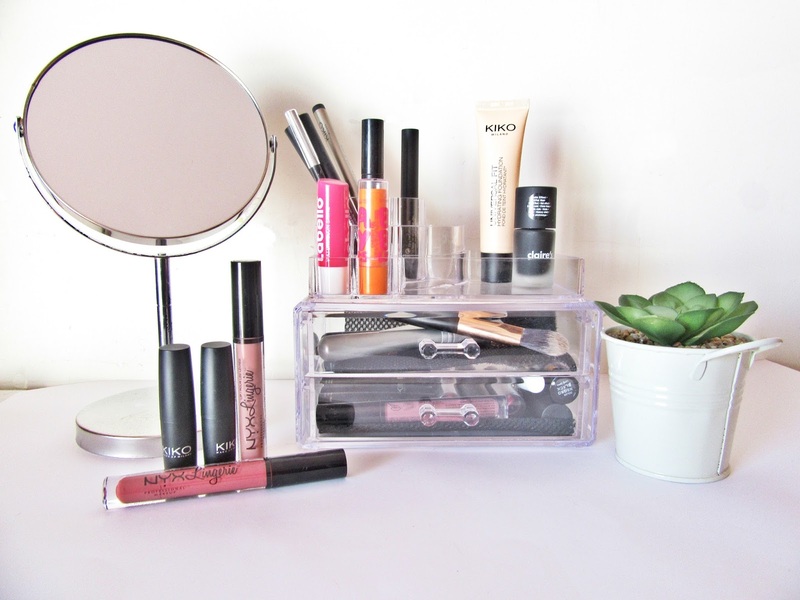 Everyone loves a good make up storage and a circular mirror right? Well I've been looking for a good mirror and storage for a long time and was finding it really complicated because I didn't know where to look since I live in a city where the good stores don't exist and I just can't go to those places whenever I want. So, I finally found them! 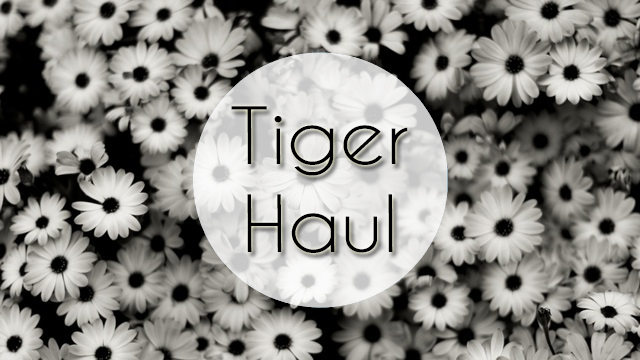 When I as on holidays in Portimão, Algarve here in Portugal during the final fortnight of august I went to Aqua Portimão, a huge shopping centre and was amazed with the price of both the products in the Flying Tiger copenhagen shop. 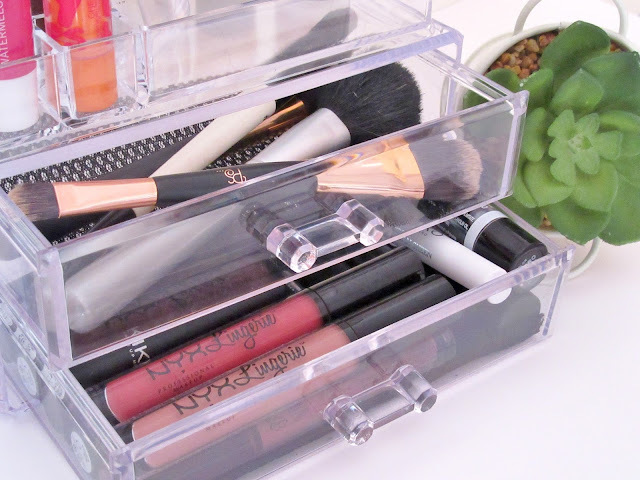 The acrylic make up storage has two drawers: in the first I keep all of my make up brushes and the second one all my lipsticks. I just wished that the storage was a little bit bigger. It cost me 10 euros. It also has 10 spaces on top where you can keep anything you want and this part is movable which means that you can remove it from the top (where I keep it) and can move it to anywhere you would like. 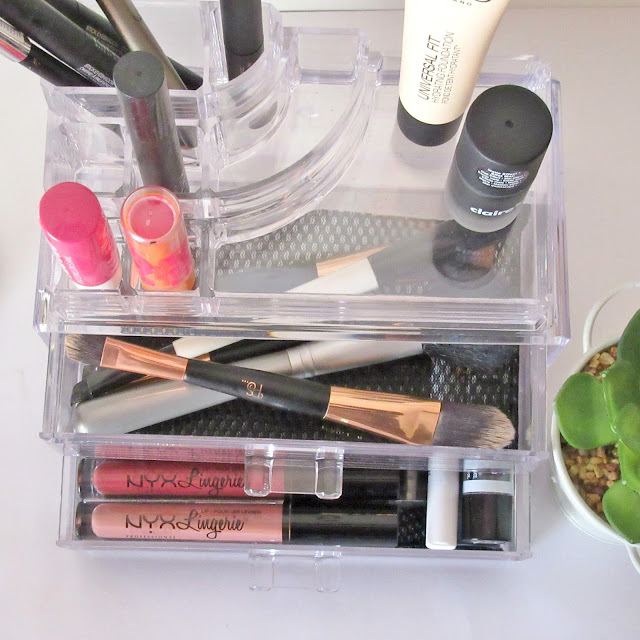 And since I don't have a lot of make up to storage I find it really useful and practical to use. The mirror might be the best thing I've ever own because I love it so much! It has the typical two mirror, one normal and one close up, and I find it super easy to use when doing my make up. It's really cool and was super cheap! Just 5 euros! Yes, F-I-V-E EUROS! It's super light and it's easy to storage anywhere. Super cool. I'm really amazed with the price of both products and couldn't be more happy with the purchases. I don't have a lot of products to storage because I'm a simple person and don't use a lot of make up products everyday so I wouldn't but a huge storage just to fill it with a few products. So, in general, I can say that I'm super happy with the price to product ratio.